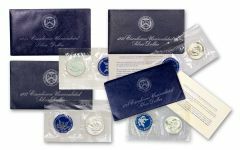 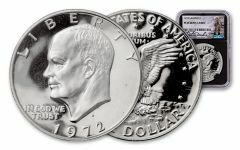 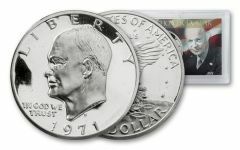 The Eisenhower Dollar was issued by the U.S. government from 1971-1978. 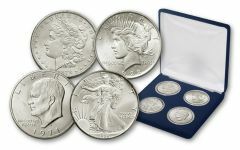 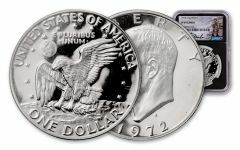 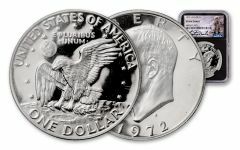 Following a 36 year lapse, this U.S. silver dollar coin reestablished the denomination after the Peace Dollar had been discontinued. 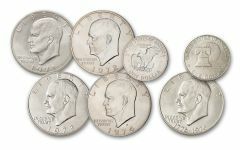 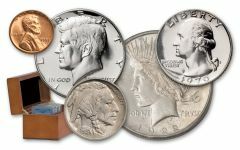 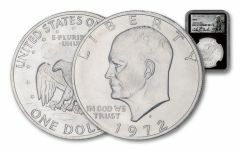 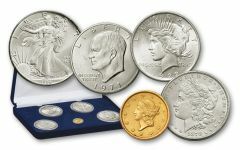 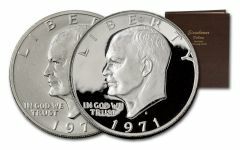 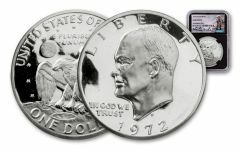 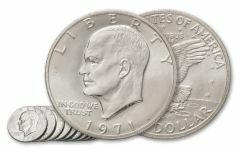 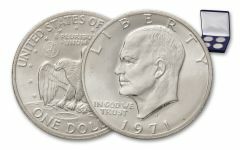 The Eisenhower Dollar was the last dollar coin to contain proportional amounts of base metal to lower denominations, with the same amount of copper-nickel as two Kennedy Half Dollars, four quarters, or ten dimes. 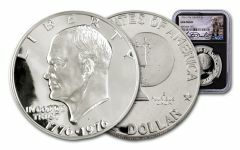 It's heavy weight made it a limited mintage and thus a great coin for collections.